Do you invest in stocks and shares, or other instruments? If you do then, you need a method to keep on top of your transactions and, just as importantly, your potential transactions. It's all well and good (well, actually it isn't) to leave it to your 'advisor' but, your interests may not be identical. StockMarketEye is just what you've been waiting for. Before you think (just as I did) that entering information on an iPhone/iPad is not your idea of fun... read on (to the end, it'll be worth it). This where you choose your reference currency from a very exhaustive list, define the number of decimal places, and choose whether or not to show the exchange prefix. You can set a password (limited to the standard iOS 4 digit code). It also gives you access to the developers' website and allows you to contact them for support (or even for a vote of thanks). Now we're getting into the nitty gritty. Press the '+' to buy/sell stock or add/remove cash. Obviously you can give each portfolio a name, alter from the default currency, choose whether or not it is synchronisable (got you thinking now? ), and pick the sorting order. Once you've done that (and there is an easier way... promise), you have your stocks neatly listed. Just pull down the screen to refresh all the values and have the up-to-date individual prices, values, and gains. There is also a portfolio summary showing the value (stocks and cash), day and overall gain, both in values and expressed as a percentage. This is similar to the Portfolios but, as the name implies, you enter and product you want to keep tabs on. Choose either Yahoo or Google; I have found historical data on Google to be more reliable (or at least complete) than Yahoo; test it and see which you prefer. Create an account at StockMarketEye and synchronise your data, thereby enabling you to either replace your iOS information with the server, of vice versa. So, you're still reading, and you are concerned about entering lots of information on a device that is really better suited to displaying it... well, what makes StockMarketEye an absolute killer App is that there is a PC/Mac version which enables you to import/export CSV files (and others). So you can update portfolios and Watchlists in bulk and then view on your PC or iOS device. The App is a piffling $2, which is fabulous value. The PC version has a one-off fee, which includes an enlightened licence allowing you to run the Software on multiple computers, provided these are not run concurrently. The developers are so convinced that you'll love it that they offer a 30 day trial for Windows, Mac OS X, and Linux here. If you care about your investments, this is an absolute no-brainer. There is even the possibility of receiving push notifications directly to your iOS device (via Growl). The App works perfectly but, check that you are happy with the provided historical information (it will be very obvious if it is wrong). It is optimised for the iPhone and works on the iPad in 1x and 2x modes. The data remains on your device unless (as I suggest), you use the synchronisation service, in which case your data is protected by a password (this one is NOT limited to 4 digits). 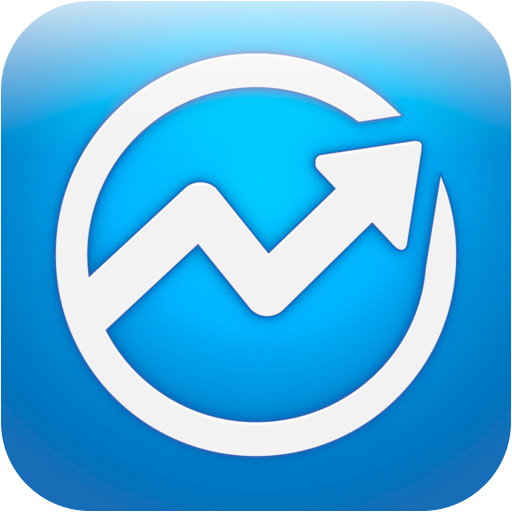 You can get StockMarketEye here and support for the App here. The developer advises that there has been an update to version 1.3.0 of the App. * Updated look for iOS 7/8. * Support for iPhone 6 and 6plus. * Improved news reading experience by opening articles in Chrome or Safari. * Added setting for selecting which tab to start on. * Fix for broken passcode protection on iOS 8. * Fix for money market fund pricing. * Fix crash when there was no previous close price available. * Fix for calculation of market value and gain when multiple currencies are involved. * Fixed minor issues with on-line sync to desktop app. * Fixed a freeze when refreshing portfolio totals. * Update to latest Appirater.